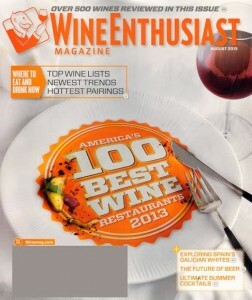 Wine Enthusiast Magazine is among the most popular magazines in the world of wine and fine dining. This monthly publication includes a wide variety of information related to wine, gourmet food, spirit and famous destinations for wine. Each issue offers up travel destinations, pairing suggestions, serving recommendations and more. Enhance your knowledge about the wine industry and learn about its production process as well. Wine Enthusiast was first published more than 25 years ago and has achieved high acclaim through those years. Wine drinkers, this is the magazine for you. I found this around the early 90’s and have been subscribed ever since. Covers quite a lot of food too.